BUFFALO, New York (WABC) -- A Buffalo businessman who co-chaired Donald Trump's state campaign has written a New Year's wish list that says he wants to see President Barack Obama die from mad cow disease and the first lady "return to being a male." Failed New York gubernatorial candidate Carl Paladino made the written comments in response to a survey by Artvoice of local artists, performers and business owners. In his survey response, Paladino said he hopes the president dies from a disease caught from "having relations" with a cow. He said he wants to see Michelle Obama "return to being a male and let loose in the outback of Zimbabwe where she lives comfortably in a cave with Maxie, the gorilla." Artvoice: What would you most like to happen in 2017? Carl Paladino: Michelle Obama. I'd like her to return to being a male and let loose in the outback of Zimbabwe where she lives comfortably in a cave with Maxie, the gorilla. Paladino confirmed by phone and email Friday that he wrote the comments, reportedly telling the newspaper, "Of course I did. Tell them all to go f--- themselves...Tell that Rod Watson (a black editor and columnist at the paper) I made that comment just for him...Yeah, I'm not politically correct. They asked what I want and I told them." In a statement to ABC News, Trump's transition team condemned Paladino's statements, saying, "Carl's comments are absolutely reprehensible, and they serve no place in our public discourse." "Carl Paladino, a Republican Party official from Western New York, made racist, ugly and reprehensible remarks about President Obama and the First Lady Michelle Obama. Paladino has a long history of racist and incendiary comments. While most New Yorkers know Mr. Paladino is not to be taken seriously, as his erratic behavior defies any rational analysis and he has no credibility, his words are still jarring. His remarks do not reflect the sentiments or opinions of any real New Yorker and he has embarrassed the good people of the state with his latest hate-filled rage. In this holiday season, after months of internal conflict among the people of this great nation, my wish is for peace and unity and that we all stand together against racism and discrimination." 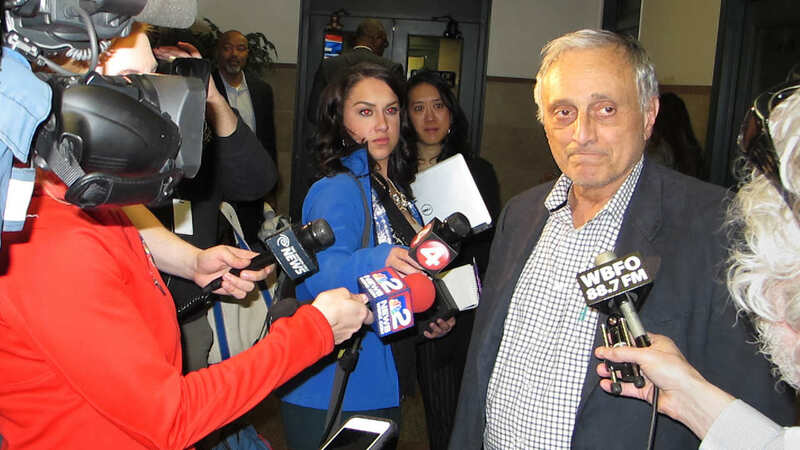 Paladino issued an even harsher response, claiming what he said had nothing to do with race. You can read his comments by CLICKING HERE.